And pray for angels bending near! A Chord to remind us "He's alive"
Everyone's heart usher Him in! It is season to prepare for Christmas, and it is time again to recall the story of God’s Son and His attempt to reach the human race with His reconciling love -- God entering the human race to serve, teach, lead, heal, and die for human beings. This historic calendar of the Church has December 25th as the day we remember the birth of Jesus, and we celebrate it for 12 days. On the 13th day we remember the Epiphany when the Wise Men from the East find Jesus by following a star in the sky, and they pay homage to him by offering him their gifts. The first Sunday after the Epiphany recalls the baptism of Jesus in the Jordan River in Israel by John the Baptist, and the beginning of Jesus’ 3½ year ministry. The first Sunday of Lent recalls the temptation of Jesus when he fasted for 40 days in the wilderness and encountered the wiles of the devil. Palm Sunday revisits Jesus’ prophetic entrance into the City of Jerusalem on a donkey. Maundy Thursday is the day when Jesus instituted the Lord’s Supper (Communion/Eucharist) while celebrating the Jewish Passover. He was arrested later that evening and was crucified on the next day (Good Friday) taking upon himself the sin offering for all human beings fulfilling many of the prophecies of the Hebrew Scriptures, our Old Testament. The following Sunday (Easter) he rose from the dead and appeared physically alive to hundreds of people for the next forty days. On the fortieth day he ascended back into heaven leaving the disciples with a commission to go and make disciples. Ten days later on the fiftieth day (Pentecost Sunday), the Holy Spirit, whom Jesus promised his followers, descended on those first century believers giving them God’s Presence and Power in their lives. This empowering of the Spirit continues to this day as human beings believe in Jesus and repent of their sins. All of this begins on Christmas when we remember the birth of Jesus. As miraculous as the birth was, the miracles still continue to those who receive Jesus today. As nice as the story of the birth of Jesus is, what is more important is to discover the Truth which this story teaches. It is Christmas-time again. Christmas music. Christmas trees. Lights and decorations. Shopping. Family-time. Good food. Gifts. All great things. But all are worthless from an eternal perspective if one misses what this is all about -- a Savior born to be a sacrifice for sin; a savior born so that humans can know the God of the Universe; a savior born to bring the love and forgiveness of God to the human race. finding fault, and it will be given him." Merciful God, who sent your messengers the prophets to preach repentance and prepare the way for our salvation: Give us grace to heed their warnings and forsake our sins, that we may greet with joy the coming of Jesus Christ our Redeemer; who lives and reigns with you and Holy Spirit, One God, now and forever. Amen. We had a wonderful day of worship at Holy Cross. We had Bishop Henry Okeke of Nigeria preach at both services. Good preaching. Good music. Good fellowship. Church Elections. Good spiritual growth classes. Bishop Okeke and I then traveled to Lilburn to the Church of the Resurrection where we participated in the ordination of Ony Mogbo to the deaconate. A tremendous service. Good music. Bishop David Anderson led the Ordination Service. I was asked to preach and preached on the Call to be a Servant. It was a delightful time and an anointed time in the Presence of the Lord. May the Lord use this man to accomplish much for the Kingdom of God and lead many into a saving relationship with Jesus. I visited All Saints' Atlanta this past Sunday for their annual Harvest Thanksgiving Festival and for a Confirmation Service. The Rev. Dr. Chima Ekeke is the rector. It was a glorious time in the Lord and great fellowship. 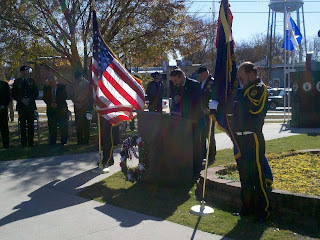 Pictures below are some of the highlights. Several years ago I went on a mission trip to Ghana, West Africa where I had the privilege of sharing the message of Jesus Christ. What I found in Ghana reinforced what I have often believed --- that God has blessed you and me in such incredible ways and most of the time we are clueless. Ghana is a country which is celebrating its 53th year of independence from Great Britain and has been attempting to grow its democracy, economy, educational system, and opportunities for people to succeed. They have made incredible progress, but have tremendous needs, especially among its poorest citizens in small villages throughout the country. Spiritually, the people have a desire for the Truth of the Gospel and for understanding the Word of God. Again and again I was fortunate to be able to share with clarity many of the Truths of the Bible. It was quite refreshing to see their spiritual hunger!! As I was returning from my mission, I began reflecting on how much we take for granted in living in the United States, how often we hoard our blessings for ourselves, and how we neglect to give thanks to God for all we have. Water; Electricity; Access to medical care; Roads; Cars; Communications; Church facilities; Soccer leagues; Jobs. The Apostle Paul wrote: “Rejoice always. In everything give thanks for this is God’s will for you in Christ Jesus” (1 Thess.5:16f). When was the last time you gave thanks to the Lord? When was the last time you rejoiced? It seems easy to sit in our abundance griping and complaining about what we don’t have, isn’t it? What would happen if you began to take your eyes off what you don’t have and began to thank God for what you do have? As a child I lived at times without. I can remember cold nights with no electricity. I remember Christmas without presents. I remember not having a change of clothes. Maybe those experiences from childhood gave me eyes to see the blessings around me. I am not sure. But I do know that if I ignore the blessings God has given me, life becomes empty, routine, and sometimes even miserable. What if the next time you find yourself complaining about your job, you pause and give thanks to God that you have a job? What if the next time you find yourself complaining about the traffic, you pause and give thanks to God that you have a car, that you have roads to drive on, and that you have gas for your car? What if this Thanksgiving Day you actually paused and gave thanks to God for specific blessings in your life? What if? 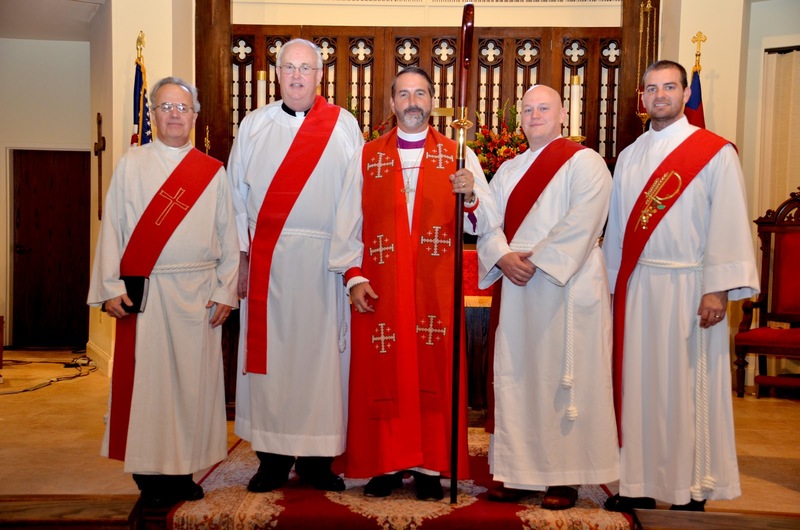 On November 5 I was privileged to ordain four new deacons to serve in the Anglican Church. We had a delightful service with a strong Presence of the Holy Spirit. Most of the clergy in the Anglican Diocese of the South were present and Bishop Mark Camp preached a strong word of exhortation to the new deacons. It burns like a blazing fire, like a mighty flame. Thanksgiving is a day when pause to give thanks for what we have. Veteran's Day is a day when we pause to give thanks to the people who fought for what we have. O Judge of the nations, we remember before you with grateful hearts the men and women of our country who in the day of decision ventured much for the liberties we now enjoy. Grant that we may not rest until all the people of this land share the benefits of true freedom and gladly accept its disciplines. This we ask in the Name of Jesus Christ our Lord. Amen. -- BCP. Let me burn for God. After all, whatever God may appoint, prayer is the great thing. Oh, that I may be a man of prayer! Holy Spirit, I pray that this day you will fill me with yourself and cause your fruit to ripen in my life -- Love, Joy, Peace, Patience, Kindness, Goodness, Faithfulness, Gentleness, and Self-Control. Lord Jesus Christ, Saviour and Lord of the World, I worship you. Glory be to the Father and to the Son and to the Holy Spirit, as it was in the beginning, is now, and shall be forever. Amen. Armand Nicholi, Jr. a pychiatrist at Harvard Medical School, wrote on C.S. Lewis in his book The Question of God... As Lewis began to read the Old and New Testaments seriously, he noted a new method of establishing his identity, of coming to terms with his "real personality." This process, Lewis writes, involves losing yourself in your relationship to the Creator. "Until you have given yourself up to Him," Lewis writes, "you will not have a real self." We have indeed, it seems, become a nation of conspicuos consumers. We purchase cars, homes, and all types of items, not for their functionality but rather to make a statement on our status to an audience that we hope will watching us. How we appear to others has become the driving force behind most of our major purchases. Fear can produce a complexity of emotions. It can be a powerful force for taking positive action in our lives or it can produce potentially crippling emotions. Richard Halverson, a former Chaplain of the United States Senate, said that his goal in the Senate was to "be with folks at their convenience, with no agenda." When asked if Jesus was his agenda, his reply was, "Oh no, Jesus is my life; friendship is my agenda." May we be so centered on Jesus as our life, and so secure in His Love, that we can reflect Him in all we are through significant friendships. This past Sunday after our regular services at Holy Cross, I went to visit Resurrection, Lilburn. They currently meet at Good Shepherd Presbyterian Church on Sunday afternoons. We had a good day of worship with baptisms, teaching, communion, and fellowship. Last night I was able to visit with folks in Chattanooga at Hamilton Anglican Fellowship. They have moved into their new location and exhibited a wonderful spirit of fellowship. After enjoying dinner together, we participated in an enlightening and Spirit-filled Bible Study led by Lay Catechist, Regis Nicoll. A great night with a great group of believers in Jesus. Did you know that it is impossible to live the Christian Life without the Holy Spirit? Did you know that the fruit of the Spirit (Galatians 5:22) cannot manifest in your life without the Holy Spirit? Did you know that you cannot “forgive as you have been forgiven” without the Holy Spirit? Did you know that you cannot “love God with all our heart, soul, mind, and strength” without the Holy Spirit? The Holy Spirit is the Spirit of God. Jesus spoke much about Him in his teachings to his followers. He said that the Spirit would come as a “counselor” to those who know Him (John 14:15). Jesus said that when he left the earth that He and the Father would come to the believer and make their home within the believer (John 14:23). He says the Spirit will come to the believer and convict of sin, lead her or him to truth, speak the Father’s word, and bring glory to Jesus (John 16:7f). The Apostle Paul elaborates even further on the role of the Spirit saying that He adopts believers as actual children of God (Romans 8:15), and that He even helps us when we don’t know how to pray (Romans 8:26). He teaches that believers receive spiritual gifts from the Holy Spirit to help them minister and serve God (Romans 12, I Corinthians 12, Ephesians 4:11). Paul adds that the believer should manifest the fruit of the Holy Spirit (Galatians 5:22). With so much teaching about the Holy Spirit in the Old and New Testament, it is amazing that so many followers of Jesus lack the power of the Holy Spirit in their lives. Jesus taught Nicodemus that one must be “born of the Spirit” to see the Kingdom of God” (John 3), and that his followers would receive “power” from the Holy Spirit to tell the world about Him (Acts 1:8). Yet…. Why do so many modern day followers of Jesus not have the Holy Spirit in their lives? Maybe, it could be as simple as they have never asked God for the Holy Spirit. In Jesus’ words: “If you then, even though it is in your very nature to practice evil, know how to give good gifts to your children, how much more will your Father in heaven give the Holy Spirit to those who ask Him?” (Luke 11:13). Heavenly Father, send your Holy Spirit into our hearts, to direct and rule us according to your will, to comfort us in all our afflictions, to defend us from all error, and to lead us into all truth; through Jesus Christ our Lord. Amen. (BCP). 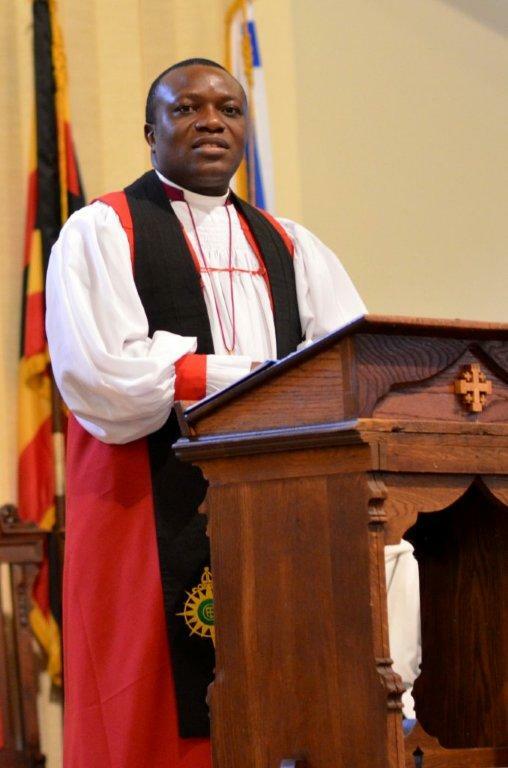 The Anglican Church in North America has another bishop. Kevin Allen was consecrated the first bishop of the Anglican Diocese of Cascadia in Seattle, Washington. Members of the College of Bishops concluded our meetings on Friday and drove to Seattle to participate in the Ordination and Consecration of Kevin Allen. It was a joyous occasion and the Presence of the Lord was strong. It is truly exciting to be a part of this Anglican movement in the United States and Canada -- so many people coming to the Lord; so many people discovering the Ancient Faith in our modern world; so many new congregations being formed; and so many lives being touched by the Gospel of Jesus Christ. I am present at a gathering of the College of Bishops of the Anglican Church in North America in Sumas, Washington. It is encouraging to be around such men of God who have a passion for the Lord Himself, desire to evangelize North America, and make disciples of Jesus Christ!!!! Iron sharpens iron (Proverbs 27:17) and I already feel sharpened by the prayer-time, teaching, discussion, and good questioning of our presenters. Pray for the bishops of the church. May we serve Jesus in the power of the Holy Spirit with significant obedience to our Lord Jesus Christ in the modern era. A simple flight to Seattle and then a brief drive north turned into an almost 16-hour ordeal today. The Lord was helping me learn anew to practice patience and live into His full provision. When my flight arrived in Seattle, I turned on my phone to discover a voicemail from the airline saying that my luggage was not put on the flight. Normally, the airline will deliver to the place where you are staying, but in my case the place I am staying with the bishops from the Anglican Church in North America was out of their range of delivery. They would send my luggage FedEx. But of course, FedEx would not pick it up until tomorrow morning (Tuesday) meaning a probable delivery on Wednesday (so no luggage for tonight, all day tomorrow, and some of Wednesday). OR I could wait at the airport almost 5 hours until the plane arrived with my luggage. I waited at the airport. Yes!! My luggage has arrived! "Trust in the Lord with all your heart, and lean not on your own understanding...." (Prov.3:5). As part of my bishop's duties, I visited St. Andrew's, Rome, GA today. I led the service, preached on Philippians 2, and confirmed and received new members into the church. It was a great day! St. Andrew's is an Anglican church plant which has been under way for over a year. Austin Goggins is the rector. He is a bi-vocational priest with a warm personality, a heart for the Lord, and desire to reach people with the Gospel of Jesus Christ. If you live near the Rome area, give St. Andrew's a try. You will enjoy the preaching, the fellowship, and the worship. Sin is an unwillingness to let God be God, a refusal to acknowledge his "otherness" and our continuing dependence upon Him. Sin is a revolt against God's unique authority; it is an attempt at self-deification. Oh... That I could get this!! This past weekend I was privileged to participate in the Investiture of Bishop John Guernsey as the first bishop of the Anglican Diocese of the Mid-Atlantic. It was a joyful celebration which I would describe as a little bit of heaven in the worship. Great music and singing. Excellent preaching. Joyful fellowship. It is truly exciting to see what the Lord is doing in this Anglican Movement. Churches are being planted. Individuals are coming to the Lord Jesus. Individuals and groups of congregational members are going on mission trips to different parts of the world. Excellent worship. A recovery of the historical liturgy. Biblical preaching. An excitement to be in church. The needy are being helped. The sick are being healed. New leaders are being raised up and trained. God is up to something!! The above pictures are some of the other bishops who were present on last Saturday.